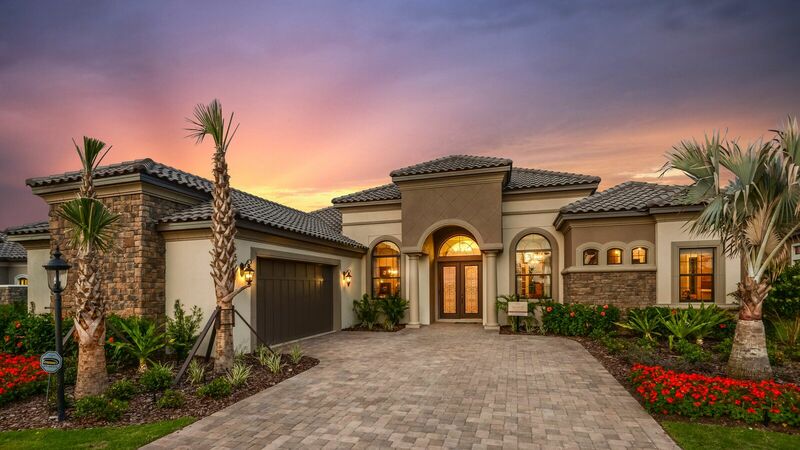 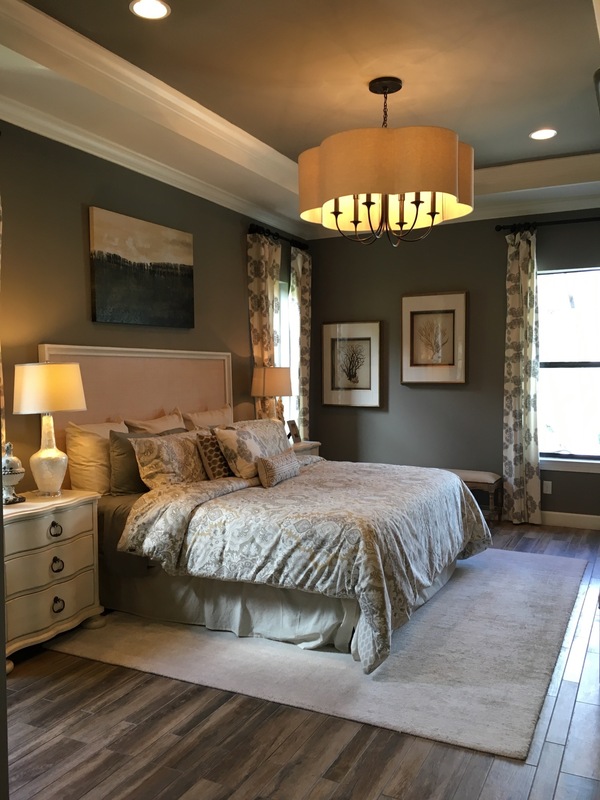 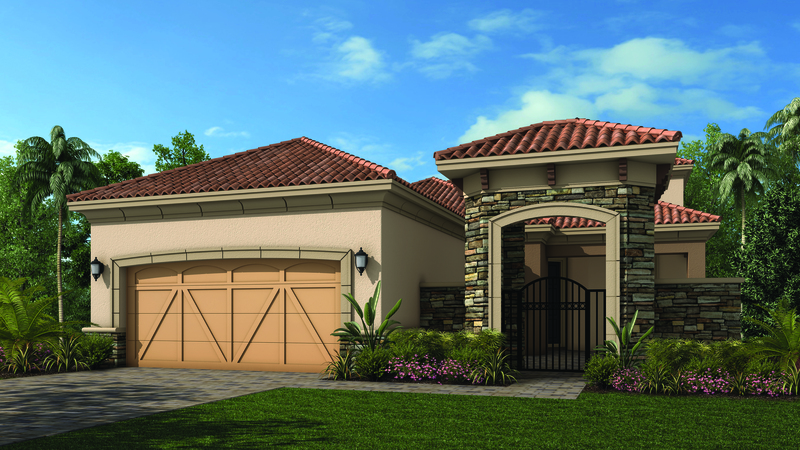 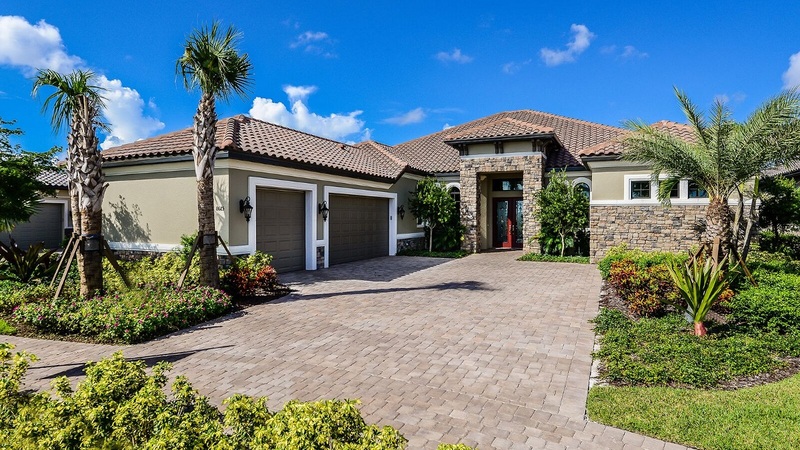 The Vinci model, features three bedrooms and 3 ½ bathrooms, with a private master suite tucked away separated from the two guest rooms,2 car garage. 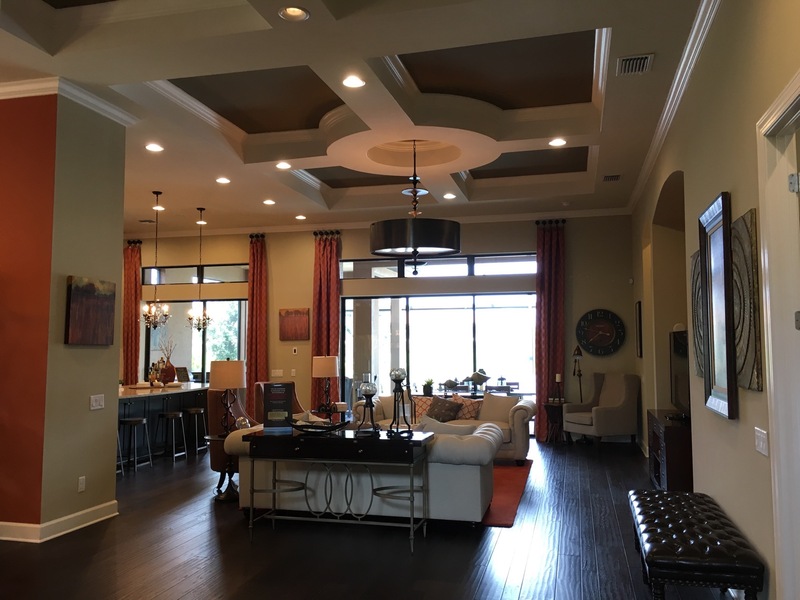 Dividing the two spaces is a formal living room, flanked by a dining room and den. 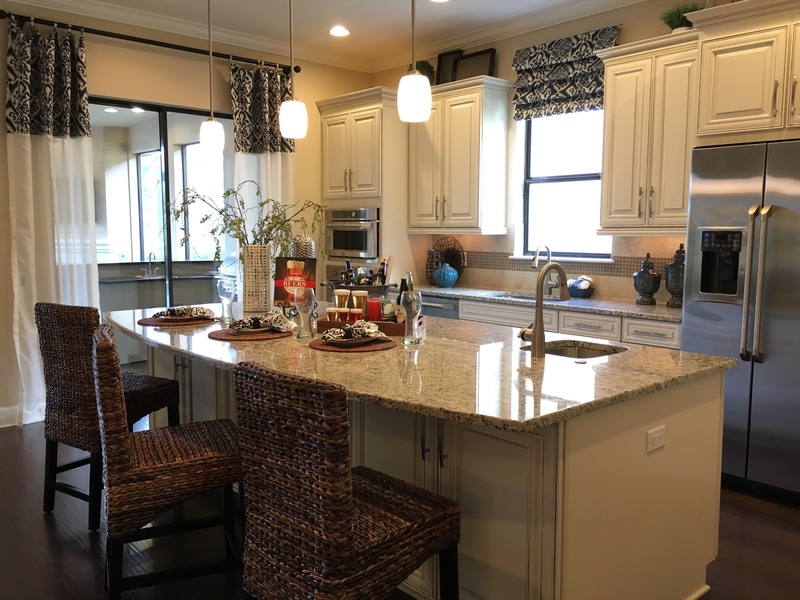 A walk-thru butler's pantry provides easy access to the kitchen, which overlooks a rear family room and a breakfast nook accented by a bay window. 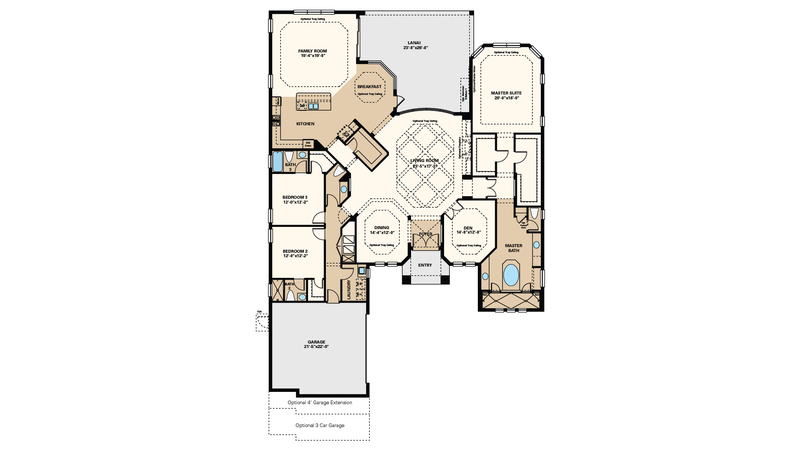 A total of 3,486 square feet allows plenty of space to spread out, including a luxurious master bath and over-sized his-and-hers closets. 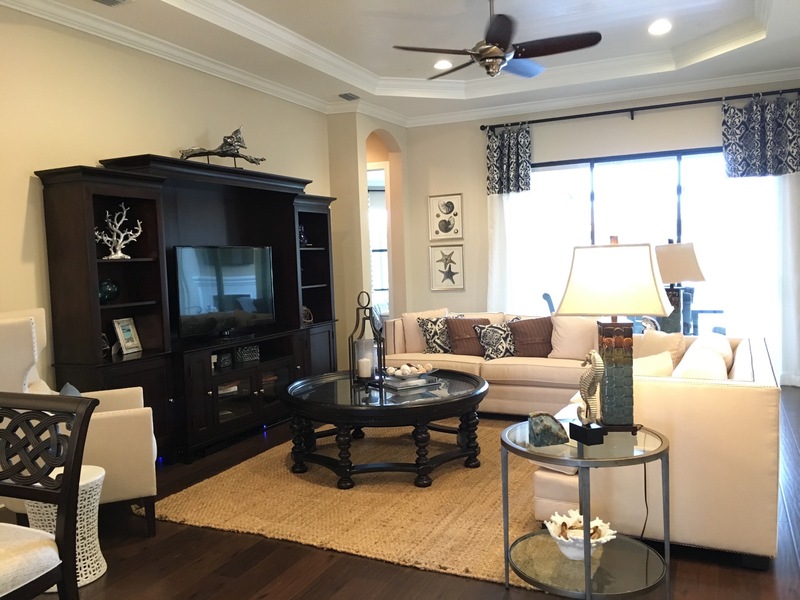 This home is a 3 bedroom + den with living room and family room off the kitchen. 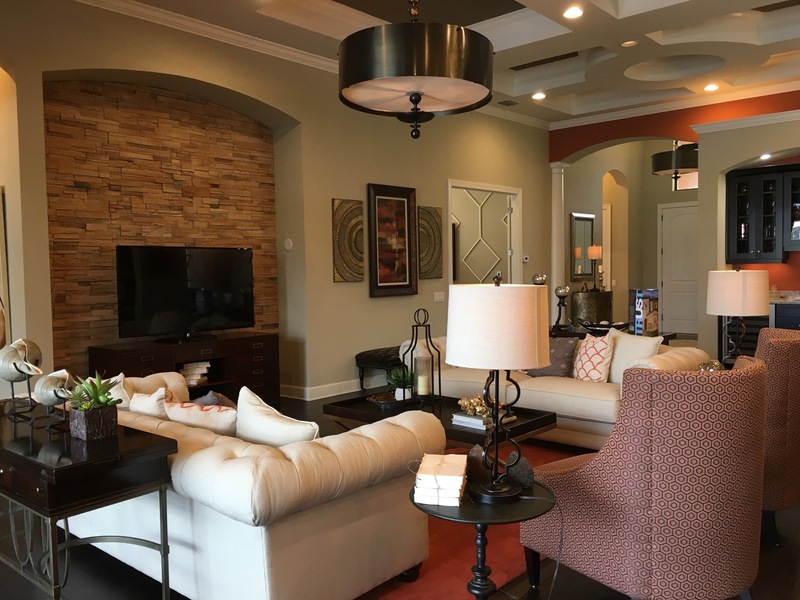 The living home has a fabulous large mitered glass window, this home has several flex space options and a 3 car garage option as well. 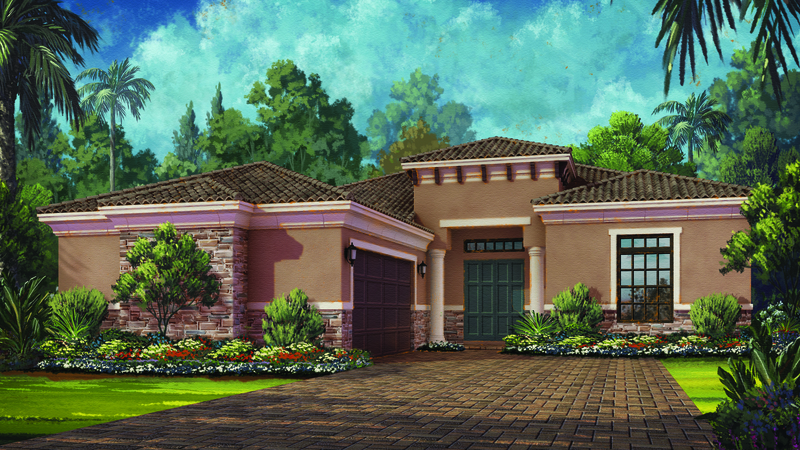 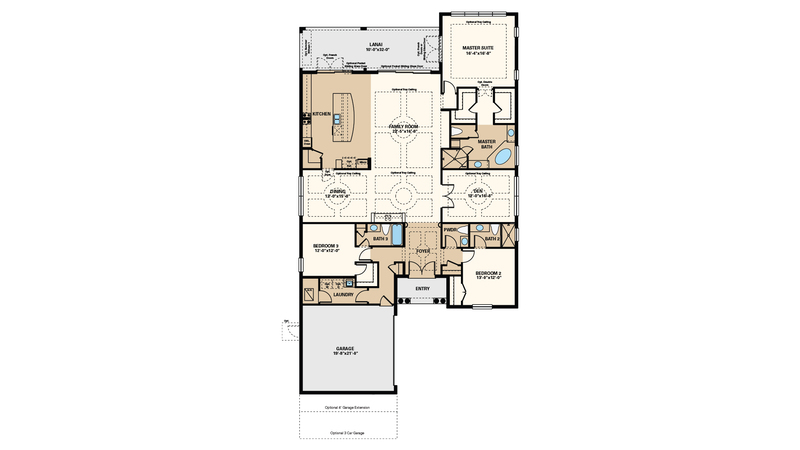 The Lazio is one of Taylor Morrison's most popular floor plans. 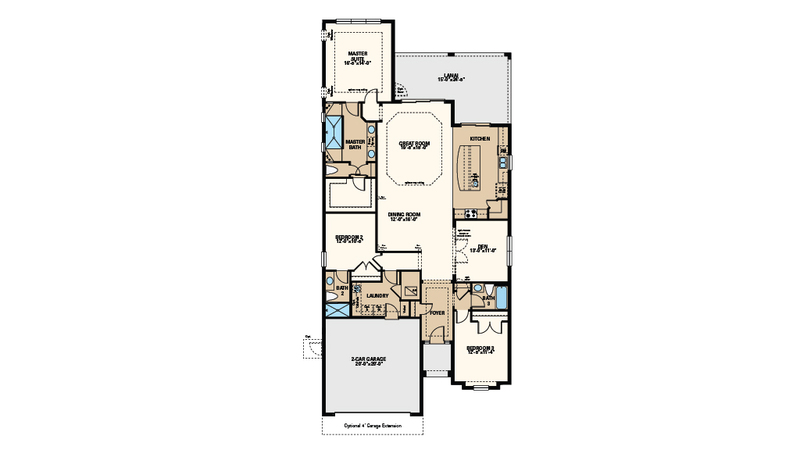 This 2,275 sq. 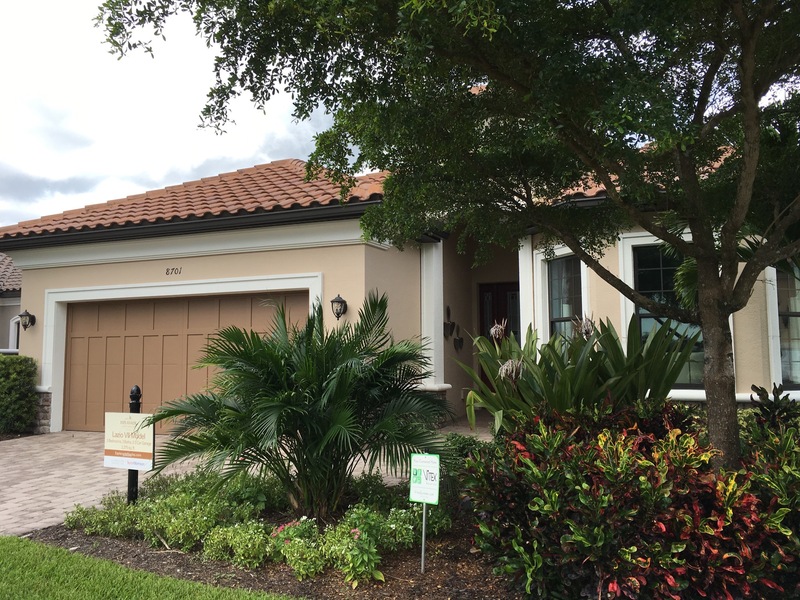 ft. single family home includes 3 bedrooms, 3 full baths, a den and two-car garage. 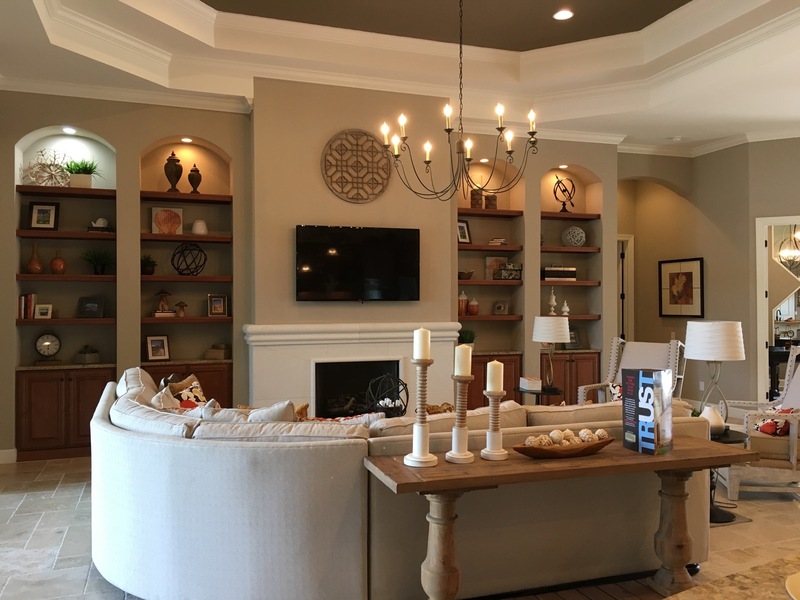 The foyer leads into a dining room and spacious great room. 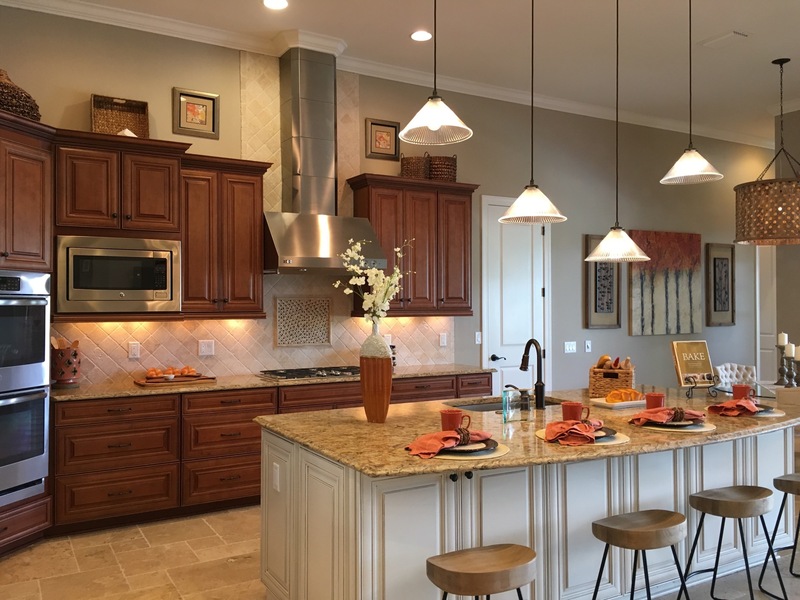 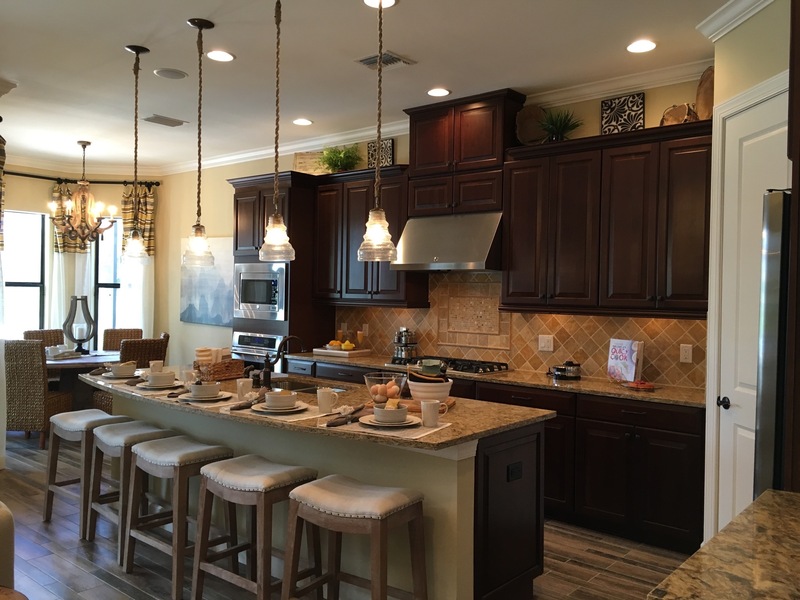 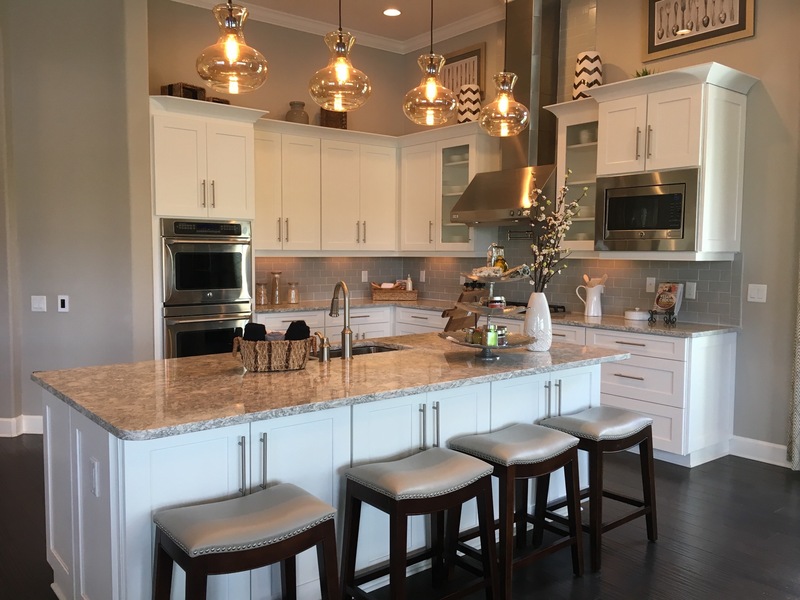 The designer kitchen, with a counter top bar-style island, has sliding door opening to a spacious lanai. 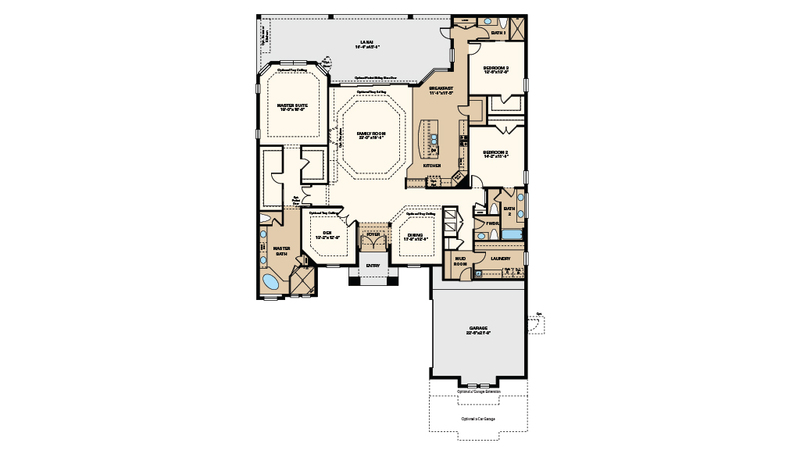 The Master Suite includes dual sinks, large shower, water closet and large walk-in closet. 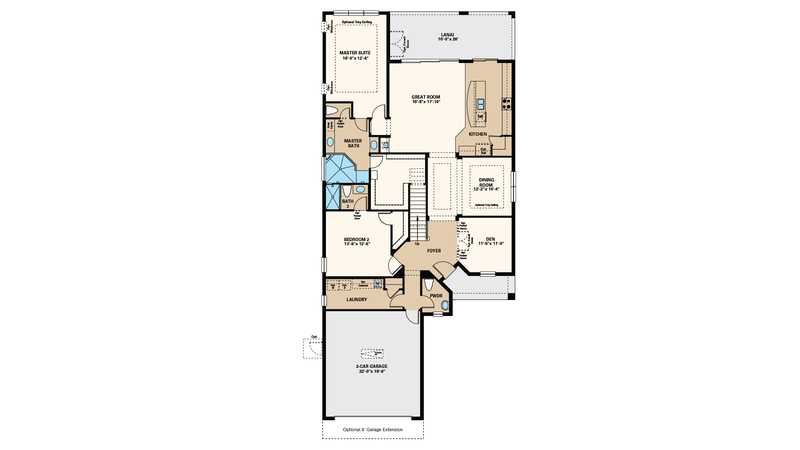 Plenty of flexible space options and upgrades available.